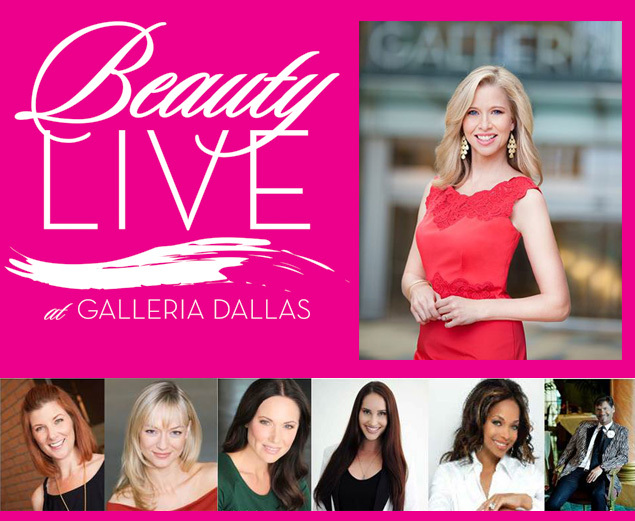 Galleria Dallas’ annual Beauty Live event kicks off FRIDAY NIGHT with a VIP soiree called Pink'd. (Tickets are just $25 and still available!) Beauty Live is a weekend of events that highlights current beauty trends, national makeup artists, makeovers, giveaways, and a handful of beauty panels so you can take home tips and tricks. Join me for a Beauty Live Expert Panel at 11 am on Saturday, March 2. You'll get chatter about the latest must-have beauty products and expert tips from Holly Quartaro, Pat Smith, D Magazine's Raya Ramsey, Steve Kemble, LeeAnne Locken, Joanna Hathcock.... and me! A $20 ticket will get you a reserved seat at the panel of your choice, plus a gift card. Your ticket cost comes back to you in the form of a $20 gift card that you get to turn around and spend after picking up some great beauty advise and product suggestions. Whoo hoo! Tickets can be purchase at http://beautylive.eventbrite.com/. Click here to get the low-down on all of Beauty Live's weekend's events from D Magazine.